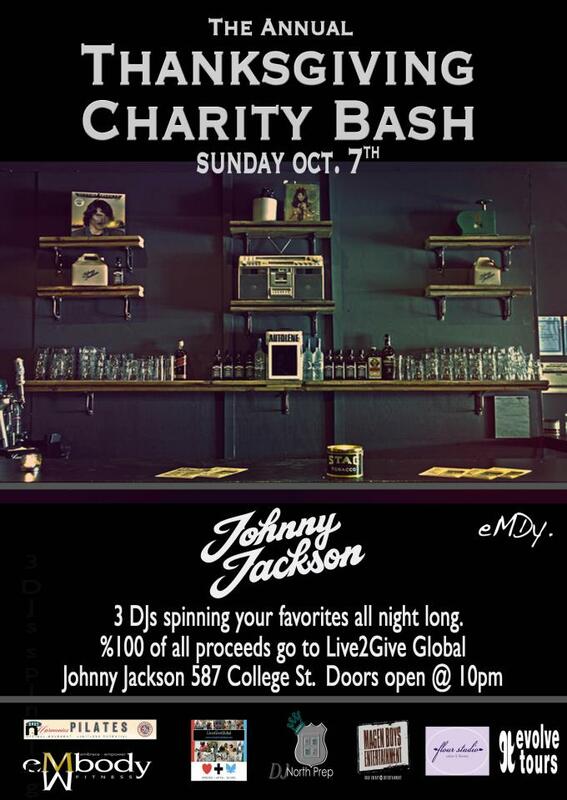 -100% OF ALL PROCEEDS GO TO LIVE2GIVE GLOBAL!! -3 DJ’s spinning your favorites all night! Live2Give Global is dedicated to the alleviation of poverty through implementing effective educational projects in developing countries. In collaboration with Beau Soleil’s Foundation Le Solstice in Switzerland and active community participation, we have recruited ten private schools in Arusha, Tanzania to implement a teacher-mediated, school-based intervention program called ERASE Stress, Designed to significantly reduce stress, improve the students’ academic performance and pro-social behaviours. ERASE Stress (Enhancing Resiliency Among Students Experiencing Stress) is cost-efficient and presents a sustainable way to optimize resources of the students’ natural environments.